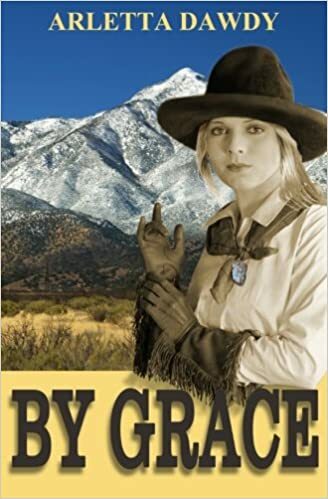 For one of my book reviews I am honored to present By Grace, part of the Huachuca Trilogy published by author Arletta Dawdy. Dawdy is once again holed up (back on the ranch, so to speak) in the Huachuca Mountains of Arizona, researching and writing yet another Southwest historical novel for us. Once again author Arletta Dawdy paints a jewel of a story of a strong woman in the historic American West. Protagonist Grace Pelham develops a keen eye for gems and steady hand for crafting sought-after jewelry designs despite her fleeing a killer through many states and territories. The author’s words offer the reader an array of lyric beauty, truly word gems on the page of this historical fiction. This entry was posted in authors, California Writers Club, Redwood Writers, Reviews, Writers and tagged California Writers Club, reading, writers, writing. Bookmark the permalink. Dear Robin, What a lovely surprise to find your generous review of By Grace! I loved the travel, research and writing of this book. A secret reveal: Pelham was borrowed from my mother’s family for Grace’s name!!! Thanks you very much. You are so welcome, Arletta! And we’ll all be looking forward to learning about Bisbee in your next novel!